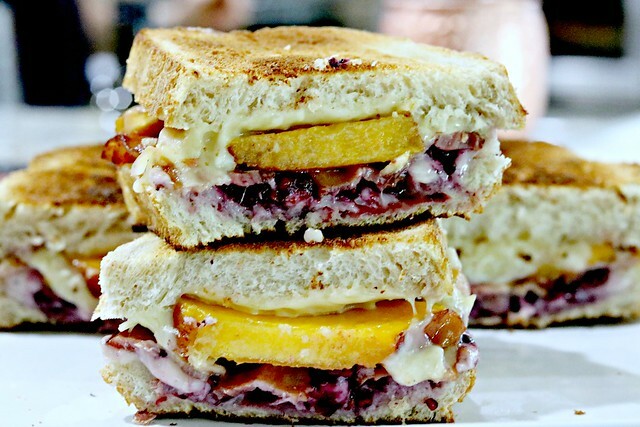 These Peach, Blackberry, and Bacon Grilled Cheese Sandwiches are the perfect way to use up those summer peaches. Add some blackberries, crispy bacon, and Fontina cheese and you have one amazing grilled cheese, all fancied up! Perfect for an afternoon lunch, a brunch get together, or just because you want to treat yourself! Don’t let the drool get on your keyboard, now. 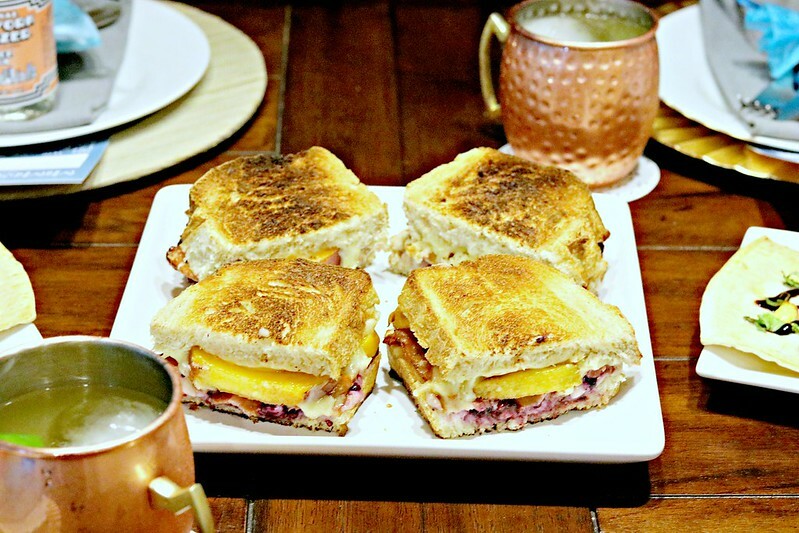 I know these grilled cheese look amazing, and I can’t believe I am just now sharing them with you!! You see, one of my bestie’s and I have a monthly girl’s brunch with a few other friends, and they each have their own culinary theme. In August (yes, I know…it’s nearly October now) we had a Peach themed brunch, and these bad boys were one of my contributions. 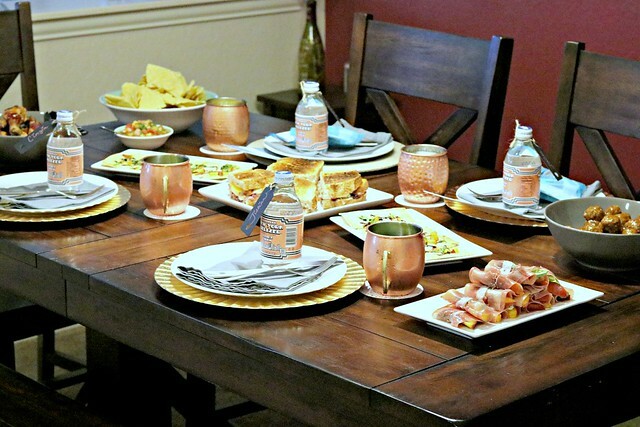 We always have the brunches at Jillian’s house (she’s such an amazing and gracious hostess!) and everyone brings a dish or drink to fit the theme. The table always looks so amazing when all the food is set out, and we have such a good time. Lots of laughs, and the girls sure love to snuggle Natalie! Back in May when I made the Asparagus and Bacon Grilled Cheese, I realized that while regular grilled cheese is amazing in it’s own right, the fancied up grilled cheese options are endless and also so amazing. So of course, when I saw a version of this grilled cheese, I had to make it. And put my own spin on it. Because, bacon y’all. Bacon makes everything better. So, while you can still find peaches at the grocery store, go get a few and make these grilled cheese for yourself! Treat yo’self!! We actually have our September brunch today. The theme…French! Maybe I’ll get my recipes for this one posted in less than a month. Ha! In the mean time, make these! Wash and dry blackberries, then place in a small bowl and use a fork to roughly mash them up. You don't want it to be a puree, but small bits for sure. Lay your bread pieces out and divide half of the cheese onto four of the slices, and top with smashed blackberries, spread close to the edges. Then top with a single layer of peach slices, and the remaining cheese. Place the remaining 4 slices of bread on top and get ready to grill! There are two methods you could use here, based on what you prefer. 1.) Heat a large skillet over medium-low heat, and place a little bit of butter in the pan. Once the butter has melted, add the sandwiches (in batches if necessary) and cook until golden brown and cheese is melty, about 3 minutes per side, flipping gently with a spatula and adding more butter as needed. or 2.) Using a toaster or convection oven, set to 350 degrees, set the sandwiches 2 at a time on the tray and bake until the tops are browned, then gently flip, and brown the other side. Cheese will get nice and melty, but make sure you keep an eye on them so you don't burn the bread! This is my preferred method for these particular grilled cheese, because flipping them in a skillet can get a little tricky sometimes.